The Rose White and Blue Parade has been a much beloved annual event in the neighborhoods of the greater Rose Garden area of San Jose along The Alameda and this year celebrates the 11th Anniversary, making this the longest running parade in the history of The Alameda – with its rich history of parades including the Carnival of Roses and the Fiesta De las Rosas. 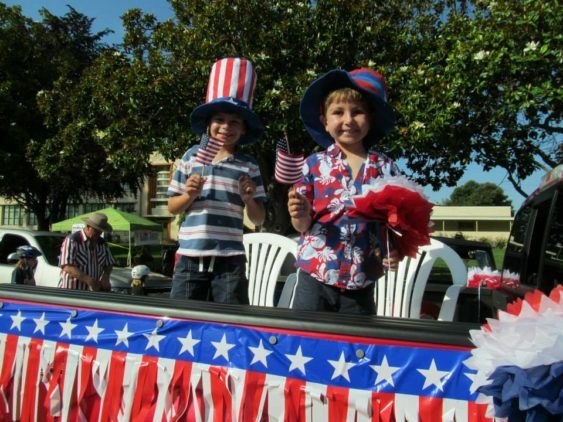 Today, the Rose, White, and Blue 4th of July Parade is the largest Fourth of July parade in San Jose with over 100 units participating in the Parade and more than 35,000 spectators. Everyone is invited to join this year’s Parade to make it the biggest and best Parade yet as we commemorate this seminal event. Festival activities include opening ceremony, live music with Big Mike and The Heartbeats, children’s play zone and picnic area where attendees can enjoy food from the local restaurants or featured gourmet food trucks. The festival booths offer businesses and organizations an opportunity to connect with the local families and residents in a fun-filled environment.